US Defense Secretary Jim Mattis on Thursday (24 August) stressed Washington’s commitment to helping Ukraine’s military, and said sanctions against Russia would remain in place until Moscow reversed its policy on Ukraine. Mattis said a new military aid package agreed with Ukraine would help Kyiv defend itself and accused Russia of seeking to “redraw international borders” by force. “Mr President, we continue to support Ukraine and remain committed to building the capacity of your armed forces,” Mattis said after meeting Ukrainian President Petro Poroshenko for talks. Washington had recently approved delivery of military equipment worth $175 million (148 million euros) to Ukraine that would boost its defence capacities, he said. This brought total military aid to $750 million since 2015, although the issue of lethal weaponry was still under consideration, he added. “On the defensive lethal weapons, we are actively reviewing it,” said Mattis. The conflict in eastern Ukraine can only be resolved by political means. 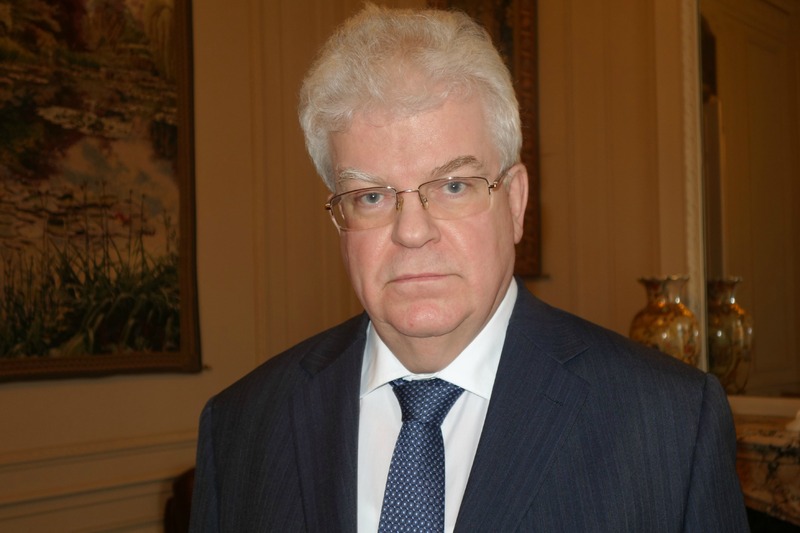 Arming Ukraine is the worst idea under present circumstances, Vladimir Chizhov, Russia’s Ambassador to the EU, told EURACTIV, in an exclusive interview. For several years, Kyiv has pushed for help with lethal weapons, particularly anti-tank missiles, and the US Senate in 2015 approved a bill that allowed such deliveries. However, the decision was ultimately opposed by the Obama Administration. 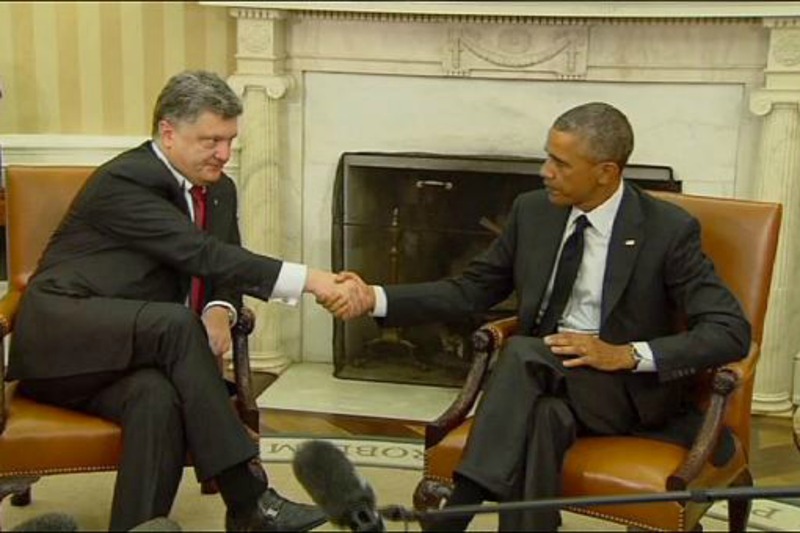 Ukraine President Petro Poroshenko secured $53 million in assistance from the United States yesterday (18 September) but President Barack Obama for now turned down his appeals for weapons to fight Russian-backed separatists. Mattis’ visit to Kyiv coincided with festivities for Ukraine’s Independence Day. 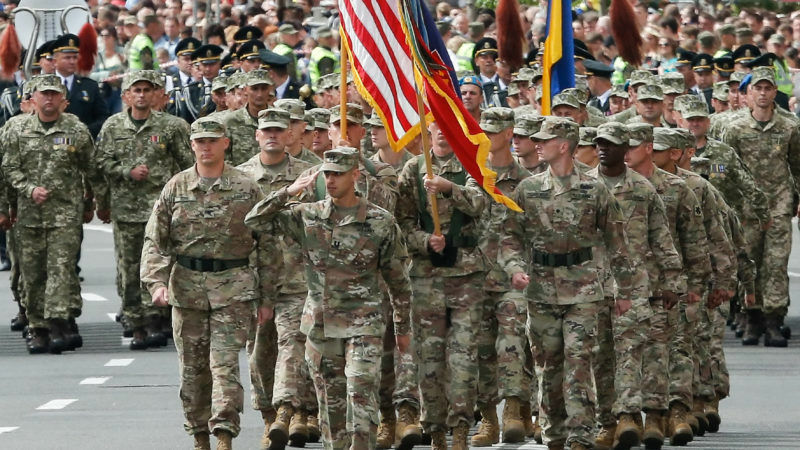 Twenty-four US soldiers joined the military parade, marching with Ukrainian troops for the first time in the country’s history. But the celebrations were marred by an explosion in the city centre, close to the building housing the cabinet of ministers, which the authorities blamed on “hooliganism”. Three bystanders were injured in the blast and hospitalised, police said, as they launched an investigation into attempted murder. Poroshenko said after talks with Mattis that he was “thankful to our American partners, first of all for the effective military aid from the first moments of Russian aggression”. Sanctions against Russia “will remain in place until Moscow reverses the actions that triggered them”, he said. Kyiv is battling a pro-Russian insurgency in the eastern regions of Lugansk and Donetsk, which border Russia. Pro-Russian fighter in parts of these regions declared independence in 2014, shortly after Moscow seized the Crimean peninsula in the Black Sea from Ukraine. The United States and the European Union have unleashed a series of punishing economic sanctions against Russia. More than 10,000 people have died in the conflict. Ukraine and the West accuse Russia of orchestrating and fuelling it with weapons and troops brought across the porous border. A series of ceasefires has dampened the violence, but not ended it. The latest truce was agreed this week and will go into effect Friday (25 August) ahead of the start of the new school year.